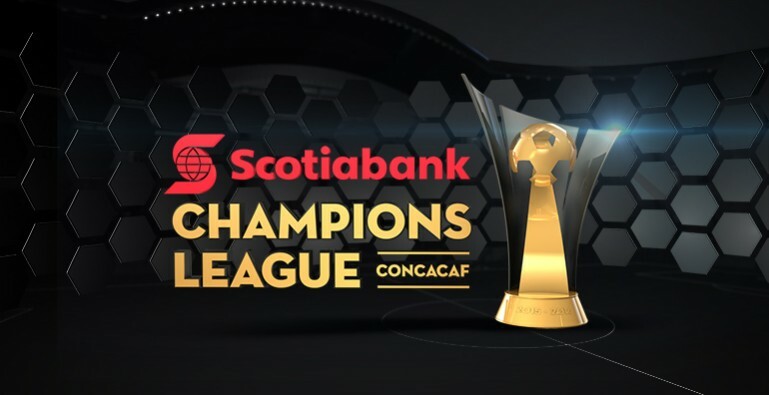 Miami (Wednesday, December 2, 2015) – The Confederation of North, Central America and Caribbean Association Football (CONCACAF) today unveiled the schedule for the quarterfinals of the 2015/16 edition of the Scotiabank CONCACAF Champions League, the region’s premier competition for clubs. The quarterfinal round begins the evening of Tuesday, February 23, when four-time Major League Soccer champion DC United visit first-time quarterfinalist Gallos Blancos de Queretaro, at 8 pm ET (7 pm local), followed by a nightcap in Seattle when defending Scotiabank CONCACAF Champions League titlist Club America kicks off its quarterfinal series with Seattle Sounders at CenturyLink Field (10 pm ET/ 7 pm local). The following day, Wednesday, February 24, features two more match-ups between Liga MX and Major League Soccer, as Tigres host Real Salt Lake (8 pm ET/7 pm local) in Monterrey. That same night, 2014 MLS champion LA Galaxy hosts Santos Laguna of Liga MX at the StubHub Center in Carson, California at 10 pm ET/7 pm local. The second legs of the quarterfinals will take place the first week of March, beginning with a March 1 return leg showdown between DC United and Gallos Blancos at historic R.F.K. Stadium in Washington, D.C., set for 8 pm ET. Later that evening, LA Galaxy and Santos Laguna settle their series south of the border in Torreon, at 10 pm ET (9 pm local). The final two semifinalists will be determined the following night. The Wednesday evening double header kicks off at 8 pm ET in Mexico City, where Club America awaits Seattle Sounders. The quarterfinals wrap up in Utah, as Real Salt Lake hosts the return leg of its series versus Tigres at Rio Tinto Stadium, at 10 pm ET/8 pm MT. Twenty-four clubs from across the Confederation began the quest for the crown in this season’s Champions League group phase, played between August and October, with the top team from each of the eight three-team groups advancing to the knockout round. Following the completion of group play, the eight group-topping teams were ranked 1-8, based on the number of points they achieved in the group stage, and using goal difference as the tie-breaker among teams tied with the same amount of points. Those rankings yielded four pairings: 1-8, 2-7, 3-6 and 4-5, now set to face off in the quarterfinals early next year. The provisional range of dates for the first leg of each of the semifinals, to be disputed among the four quarterfinal winners, is March 15-17, 2015. The return legs will be played from April 5-7, next year. The winner of the Club America – Seattle Sounders quarterfinal will face the winner of the Santos Laguna – LA Galaxy quarterfinal in the semifinals. The survivor between DC United and Gallos Blancos will match up against the winner of the Real Salt Lake – Tigres pairing in the other semifinal. The final home-and-away series between the two semifinal winners will be disputed during the last two weeks of April of 2016. The CONCACAF Champions League is the region’s most prestigious club tournament, qualifying its champion directly to the FIFA Club World Cup. Current Confederation champion Club America, winner of the 2014/15 CONCACAF Champions League, will participate in the 2015 edition of the Club World Cup in Japan later this year. More information on the CONCACAF Champions League, including team-by-team capsules and in-depth statistics and analysis, can be found at CONCACAF.com. The full schedule can be accessed below, and by clicking here.